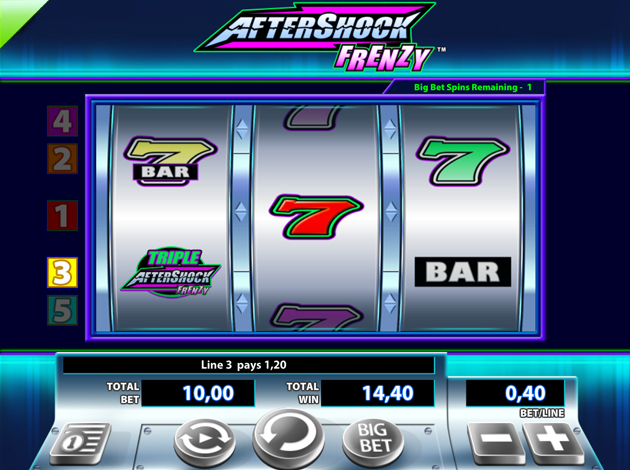 Aftershock Frenzy is an action-packed slot full of features like nudges and reel shakes that will zap you into a frenzy! The setup is simple, with just 3 reels and 5 paylines. At first, you might think this is a regular retro slot, but you’d be in for a real shock if you’d be so quick to judge it! This humble 3x3 slot comes with very good payouts during the base game, but the shock really kicks in when the Double and Triple Aftershocks go wild and start multiplying the already decent prizes, then multiplying them again if they form part of a winning combination! Retro slot lovers will have a blast spinning on this classic slot full of crazy prizes! The RTP rate for this game comes at 96.06%. The excitement starts from as little as € 0.1 per spin and can go up to a maximum bet of € 100. Aftershock Frenzy keeps things simple and the focus is all on the wilds and the big bet features. Symbols include no more than four different-coloured 7s, the bar symbol, and wilds. There is also the Double Aftershock Frenzy symbol, which appears on reels 1 and 3, and the Triple Aftershock Frenzy symbol, which appears on reel 2 only. The wild symbol substitutes all symbols except for these two symbols. The Aftershock Frenzy feature can be triggered during any spin and when it’s activated, every spin is guaranteed to a be a winning spin! You’ll get up to 7 guaranteed-win spins. The good news doesn’t end there, though. During this feature, if any Double Aftershock Frenzy or Triple Aftershock Frenzy symbols lands on the 2nd payline, the Shocking Wilds feature is triggered and now things get seriously exciting! When the Shocking Wilds are triggered, the triggering Double or Triple Aftershock Frenzy symbol will remain on the reels and nudge to the centre payline for the remainder of the AfterShock Frenzy feature spins. You can buy 5 Big Bet Spins which will be played back-to-back for a selected amount which will be displayed before the feature begins. The RTP increases during the Big Bet Spins and the Double Aftershock Frenzy symbol on reels 1 and 3 will be replaced with a Triple Aftershock Frenzy symbol! Aftershock Frenzy is a very retro game in style, so as you might expect, there are no free spins, but you’ll forget all about that when your wins are doubled or even tripled! The Aftershock Frenzy is almost better than free spins, as a winning combination is guaranteed to be made when the feature is triggered! The paytable on Aftershock Frenzy is indeed generous, but things get shockingly good when the wilds and the Aftershock symbols are involved. Bars and 7x are all valuable symbols, with the red symbol being the most valuable. Wilds substitute all regular symbols, and the Double and Triple Aftershock symbols will also go wild and double or triple any prize from the regular symbols. If you get two double aftershocks as part of a winning combination, your prize will be multiplied by 4x! A Double and a Triple will multiply your win by 6x. You’ve probably already noticed that these symbols cause a frenzy of multiplying on the reels, meaning huge prizes for you! The top prize on Aftershock Frenzy is an amazing 200,000 coins! Aftershock Frenzy has a great, retro design. The graphics are very minimal in style, with a silver game panel featuring 3D, red game buttons, mimicking an old-school game cabinet. These buttons allow you to view the paytable, activate the Big Bet feature, and adjust your total bet using the – and + buttons until you reach your desired amount. The background is pretty crazy, with shocking pink and neon green colours exploding behind the reels! The soundtrack is another great aspect of the game, being very funky yet relaxing in style. You can hear the sound of the spinning reels just like you would on a traditional, land-based slot machine. The best thing about Aftershock Frenzy is that you can play for big prizes with low stakes and plenty of features are on your side to trigger the best prizes! The gameplay is simple, the features are plenty and full of rewards, and the retro look gives it a great, nostalgic feel to it. The doubling and tripling aftershocks are seriously crazy, so start spinning the reels and prepare to be shocked into a frenzy! Williams Interactive is a wholly owned subsidiary of WMS Industries, which dates all the way back to 1943 where founder Harry Williams invented the Tilt mechanism for Pinball machines. Williams Interactive is one of the world’s biggest providers of online casino entertainment and one of the oldest in the business. During the years they have provided casino lovers with amazing titles like Zeus, the Wizard of Oz and Bruce Lee, and they keep producing fantastic games year after year. Their longevity and unique position Williams Interactive has in this business have led to a company with a strong social compass actively involved in supporting the efforts of social service organisations, schools and other non-profit organisations. 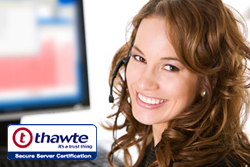 This social awareness has set a brilliant example for other developers and keeps the organisation grounded and aware. As early as 2009 they started their “Green Initiative” where they make an effort to reduce their waste and energy consumption to be a company more in touch with the modern zeitgeist embracing local eco-sensitive projects with employees volunteering their time and efforts to projects in the markets where it operates. Some of the grand games by Williams Interactive are Raging Rhino, Montezuma and Zeus III.